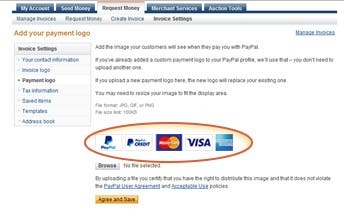 Our logos and buttons let your customers know they can pay you faster, easier and with confidence. Below you’ll find some best practices for where to place our logos and buttons on your site and eBay item pages to help increase your sales and reduce shopping cart abandonment. 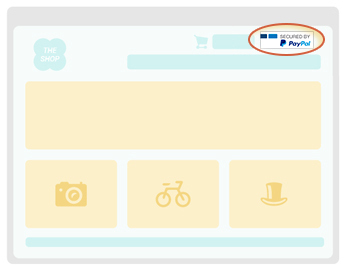 Add the PayPal logo on your homepage, product and checkout pages so your customers know straight away how they can pay. 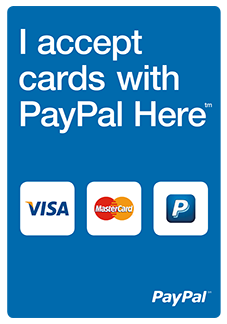 Check out our Logo Centre for the suite of PayPal logos. 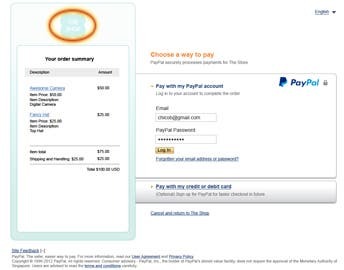 Integrate the “Check out with PayPal” button with your shopping cart to let customers check out quickly. We also recommend displaying shipping options on this page. 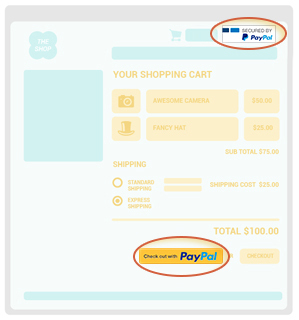 Customise your checkout page with your logo and the customer’s purchase details in the order summary. 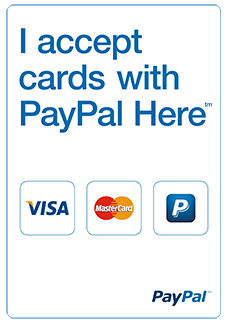 Choose PayPal as your preferred payment method. 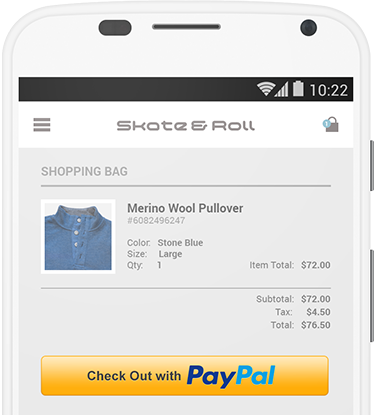 Add PayPal in your product description to assure customers they can pay you quickly and easily. 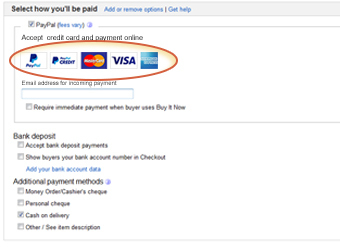 Link to the eBay FAQs so your customers can see more information on payment. Display one of our payment acceptance signs where your customers can see them before deciding to buy. Let them know they can pay how they want to. Download our best practice guide. Our Online Shopping Cart Best-Practices Guide will help you improve your online sales conversions, profits and customer loyalty. 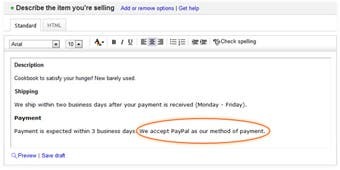 Create a PayPal account to get started.